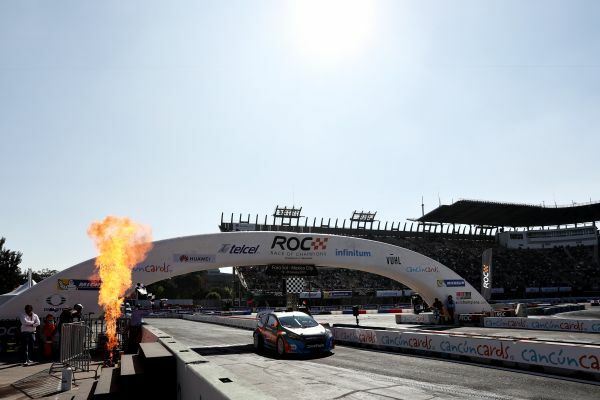 Volkswagen driver Johan Kristoffersson (S) and Tom Kristensen (DK) have won the Nations Cup at the Race of Champions in Mexico City. Team Nordic won the final against Germany (Mick Schumacher and Sebastian Vettel) in a spectacular and tight shoot-out, having battled their way into the knock-out stage with a strong performance in the preliminary round, when the two-time world Rallycross champion and nine-time Le Mans winner defeated hosts Mexico. Patricio O’Ward took revenge in their quarter-final clash in the individual competition: the Mexican, beaten in the semi-final of the Nations Cup, defeated Kristoffersson in a tight battle, bringing the future Volkswagen WTCR driver’s campaign to an early end. Sébastien LOEB défie les spécialistes du Trophée Andros au Stade de France !